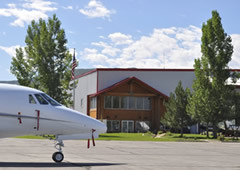 OK3 AIR is a full-service fixed-base operator based in Heber City, Utah - only 20 minutes from Park City and the Park City Mountain Resort, Deer Valley and the Deer Valley Resort, and the Sundance Resort. 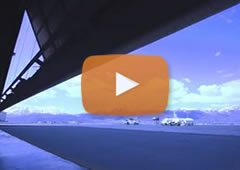 The Heber Valley Airport is the preferred arrival airport for all Sundance Film Festival guests. The Heber Valley Airport (KHCR) - Russ McDonald Field - is located 1 mile south of Heber City, Utah in the beautiful Heber Valley. The airport is a short 20 minute drive to the Park City Mountain Resort, Deer Valley, Canyons, and the Sundance Resort. The updated KHCR Runway 04/22 PCN is 32/F/B/X/T which equates to a Single Wheel rating of 89,000 lbs and a Dual Wheel rating of 142,500 lbs! OK3 AIR is proud to announce our new affiliation with Go Rentals. Located in Heber City, and serving Deer Valley and Park City, Utah.